The Joe Duffy 2018 Demonstrator Clearance Sale is now on. All vehicles are now priced to clear, with savings over €16,000. There has never been a better time to buy a BMW from Joe Duffy . When you are looking for a used BMW you should search no further than a BMW Premium Selection Approved Used Car. Every car undergoes our 360 degree technical and optical inspection with full road test, and our customers receive an extensive array of specific programme benefits. Click the below button to view all of our 2018 stock. 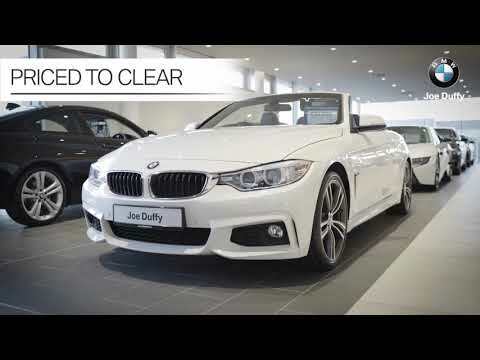 Buy an approved used BMW from Joe Duffy BMW with the confidence that you’re getting unrivaled quality.